From the back cover: "Joy Kogawa, a superbly gifted poet and writer, is a Nisei, the child of Japanese immigrant parents. 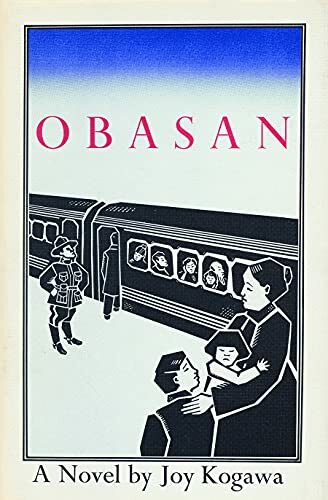 Obasan, her first novel, recovers the truth about what happened to her, her family, and her people in Canada during the Second World War." This is a very poetic and beautifully written book. Much of it is very painful to read. The racism of the time was horific. There is a great deal of sadness, but also much love and endurance. I would recommend that this be read by everyone living in Canada as a reminder of what did happen to Canadians and of what should never happen again. Released this book to a friend to read and pass on to others afterwards. Released for week#4 of the Don't Judge a Book by its Cover challenge. Enjoy!